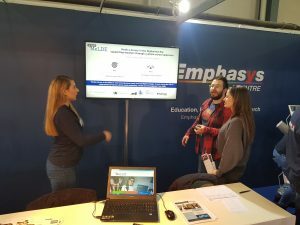 Several important stakeholders, key people and official bodies, as well as parents, teenagers, teachers, youth workers and many others visited Emphasys’ booth and were informed about the ‘MeLDE’ project’s aims, objectives, products and expected outcomes. Among the visitors were the Minister of Education and Culture, Mr. Costas Hambiaouris, Representatives of the Youth Board of Cyprus, Representatives of the Human Resource Development Authority of Cyprus, Members of the Cyprus Computer Society, Career Counsellors Cyprus and others. The European Media Literacy Week is a new initiative by the European Commission to underline the societal importance of media literacy and promote media literacy initiatives and projects across the EU. Emphasys Centre has organised on Wednesday 20th of March 2019 an InfoDay for the Erasmus+ School Project MeLDE (Media Literacy in the Digitalised Era: supporting teachers through a whole-school approach). 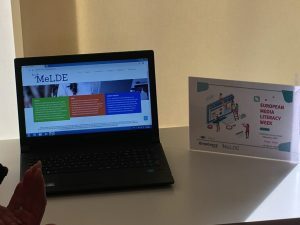 MeLDE aims to strengthen teachers’ profiles and equip them with essential media literacy skills to deal with digital citizenship issues in their schools. 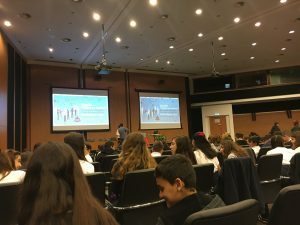 A national conference titled “Media Literacy” was organized by the Cyprus Radiotelevision Authority, on the 21st of March 2019, as part of the EU Media Literacy Week. In his welcome speech the Cyprus Minister of Education and Culture emphasised the importance of empowering the students with skills and knowledge in order to be ready to face the challenges they will come across in the Media world. Dr Demetra Milioni (Assistant Professor at the Technological University of Cyprus), presented the way the internet creates ‘profiles’ for each user, based on algorithms being calculated having the users’ searches, history and browsing habits in mind. Dr Milioni urged the students to be aware of the power of internet and the dangers that it entails. 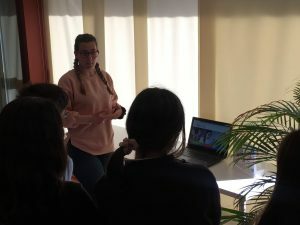 A secondary school in Nicosia prepared an interesting presentation, demonstrating how they have established a radio station within their school and how this movement has made them think more critically before sharing media and information. 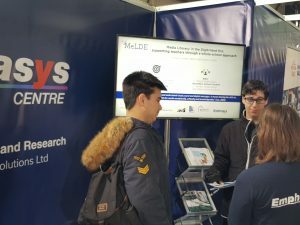 During the event, which included various workshops on Media Literacy, Emphasys Centrer and Antenna had the opportunity to discuss with teachers and students for the MeLDE project, its rationale, aims and products.